Dr Jacques Delort leads Skintifique since 2012. He is an international entrepreneur, with considerable experience in healthcare and innovation, acquired through previous executive positions in blue-chip institutions. He was notably Global Vice President and a member of the Executive Committee R&D at Sanofi. Dr Jacques Delort was also a Partner at McKinsey & Company, and a leader of the Healthcare and Chemical sectors in both the USA and Europe. He started his career as a biomedical scientist at the Howard Hughes Medical Institute (USA) and the CNRS (France). 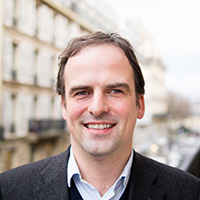 Dr Jacques Delort holds an MSc Engineering degree from the Ecole Polytechnique, and a PhD in Sciences from the University Pierre & Marie Curie, in Paris.